For a fleeting moment I honestly thought that better weather was at last around the corner… Wrong! 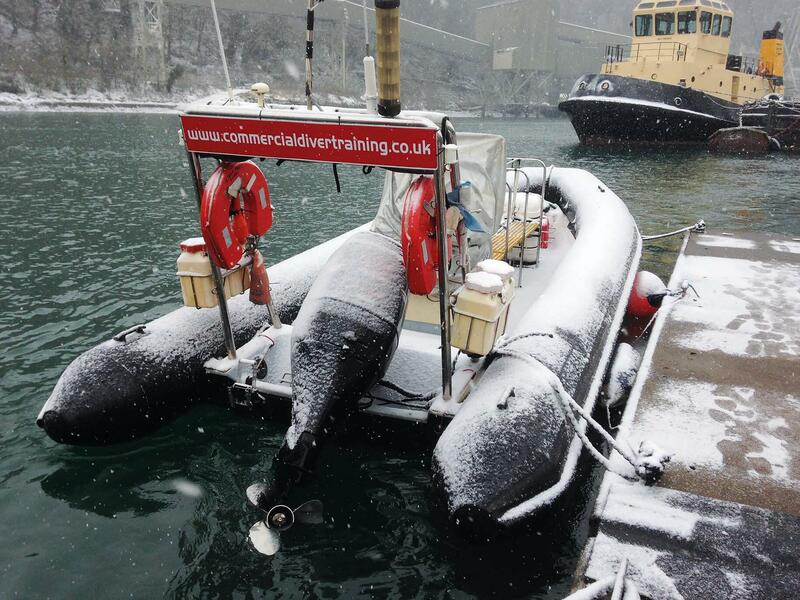 After a brief Christmas break, we were back in the thick of it – annual moorings work, emergency ships’ hull inspections, TV work and getting ready for the first course to kick off! But what has made our dive life harder has been the weather, or shall I say temperature – it doesn’t matter what you wear, it’s never enough some days! 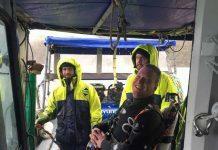 The temperatures have made compressors hard to start, boat engines have refused to start, pipes fractured and divers shiver. Then… we had snow as I’m sure the rest of you have. 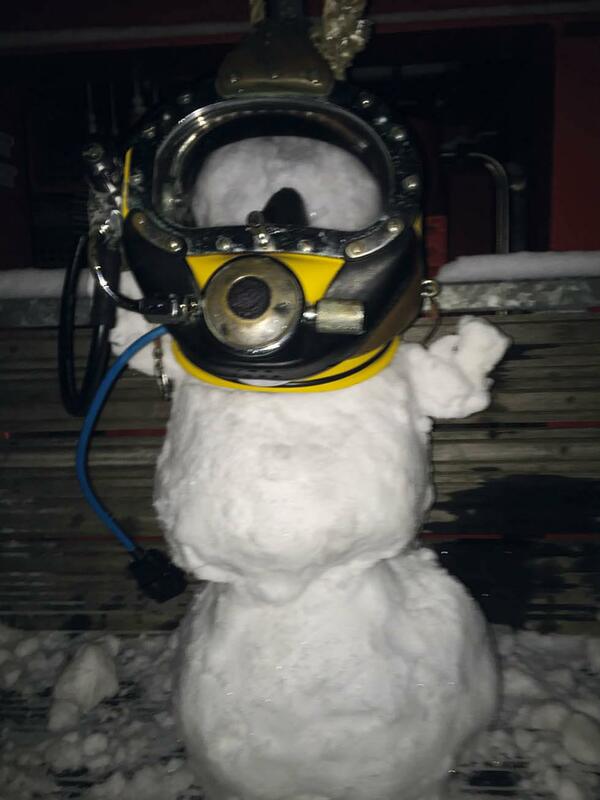 We’ve all got some snow stories, but trying to motivate trainee divers to spend hours in the water and not by a radiator has been tough. So during the first week of February, our first course of the year turned up, all 12 of them! A broad mix of society, ages and nationalities. We have students from Germany, Greenland, Gibraltar and Wales! They are aged from 19 to 60, five foot to six foot in height, and they never cease to surprise me with good and bad traits. I was sat here wondering what to write about when Tamsin (she tells the rest of us what to do each day) hit on the idea of letting one of the students contribute, so here is a perspective from the other side of ‘Dive control’. My name is Toby, I’m currently aged 20, but I was 19 when I first began this course. Before I came on to the course, I had just finished my A-levels. I had a fairly mixed range of grades, none were anything particularly special. I had some vague ideas of getting a degree in Politics, but by the time I’d finished my A-levels I was getting pretty sick of academic work, and had no intention of going to university. I had no idea what I wanted to do with my life, but I definitely knew I couldn’t do a desk job for the next 50 years. At the time the only other thing I had going for me at the time was that I was also a PADI Divemaster. I had been diving recreationally since I was 12 years old, but this was the first time I started seriously considering diving as a career option. I worked in the Dominican Republic as a Divemaster for roughly two months, before I decided I’d had enough. Neither the hard work nor the long hours nor the fact that I was a long way from home bothered me in the slightest, what made me quit was that after two months of work I hadn’t made enough money to live, and was still relying on my parents. I found this unacceptable. I came home with my tail between my legs, and at this point decided that I needed to do something more challenging. One of my friends suggested I look into commercial diving as a career. 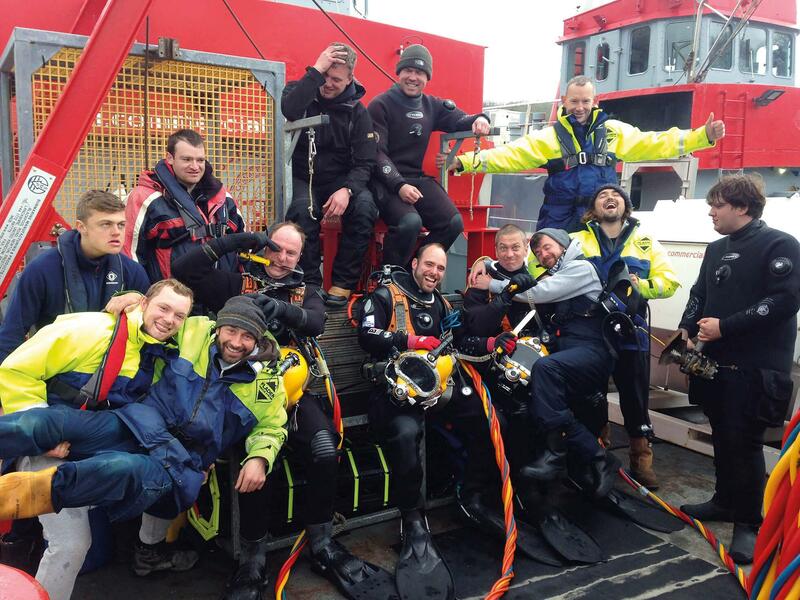 At first I thought the only place I could get training in commercial diving was in Scotland, however after actually visiting both the other providers and CDT, I decided CDT offered far better value for my money and better facilities and so now, at the time of writing, I’m several weeks into the course. 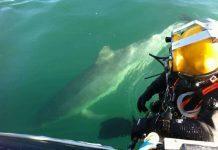 What struck me immediately was the great differences between commercial and recreational diving. For one thing, the work really is more challenging, as we’re still expected to dive in conditions that recreational divers wouldn’t dare, which suits me fine. Secondly, commercial divers actually seem to place much more emphasis on ensuring safety, which surprised me as I had heard horror stories about saturation divers whose operations had gone drastically wrong. I’m now quite optimistic about the future, if only because I feel I’ve dodged a bullet by not going to university, which would have been expensive, pointless and would have led to a boringly predictable, monotonous life behind a desk. It’s often said ‘the worst day diving is still better than the best day in the office’, and I fully agree with this sentiment. I’m not sure where I will be going or what I’ll be doing after I leave – I’ve been reliably informed that they’re looking for divers in Scotland, but at least now I feel I have a marketable skill to offer and build upon, and in a way, I quite like not knowing what’s going to happen next. I have seen this young lad’s confidence grow throughout his course – living and working together with other divers from all walks of life certainly ensures life skills. Personally, one of the reasons I love the diving world is that sense of belonging among like-minded people who aren’t satisfied with a ‘normal’ every day existence, we all want adventure – and as a commercial diver you get paid for it too!